Yeah, yeah, yeah, we know; you want us to include the TM 125MX, Husqvarna TC125 and any other one-off made in the back room of an Italian foundry. We aren’t going to do that. Why not? Because the real battle for sales supremacy is between the Yamaha YZ125 and the KTM 125SX—and with the KTM 125SX it kills two birds with one stone, because the KTM is identical to the Husky TC125. It’s strange enough that we are testing a 10-year-old Yamaha 125cc two-stroke against the latest, greatest offering from Austria, especially given the YZ125 makes the same horsepower today as it did a decade ago. It also has the same suspension components and running gear. The only nod to modernity was new plastic in 2015 and black rims in 2016. Equally odd is that the YZ125 has the same dyno numbers today that it had back in 2006. There is the old adage that says, “If it ain’t broke, don’t fix it.” That could be Yamaha’s two-stroke slogan. Conversely, the 2016 KTM 125SX is totally new—that means new plastic, a new engine and new suspension (and the 2017 version has one big change that make sit even better). We might talk thrash about the ancient YZ125, but in our 125 Shootout a year ago we picked the 2015 Yamaha YZ125 over the 2015 KTM 125SX. Not because it was faster, because it wasn’t. Not because it was better looking, because it wasn’t. Not because it handled better, because it didn’t. We picked the YZ125 over the 125SX because it was a better all-around package. Easier to ride, easier to live with and superbly suspended. Now the two bikes are back for another round—only this time the KTM lost weight and gained horsepower, while the Yamaha just got a year older. For some, it all comes down to the best bang for your buck. These are the people who wait a few years after a new model is released in hopes of picking a used one up cheaper. They are okay with hand-me-downs because the price is right. For these types of buyers, a used Yamaha YZ125 (built any time after 2005) is right up their alley. They get the same engine, suspension and chassis as the 2016 model for a fraction of the price. As for new bike prices, the YZ125 rusn about $400 cheaper than the KTM 125SX, but it is interesting to note that the 2016 YZ125 is $891 more expensive than the bike is is based on—the 2006 YZ125. So, if you’re looking for a deal that won’t empty your pocket book and don’t mind not having the latest hot rod in the garage, find yourself a good used YZ125. You won’t be disappointed. The YZ125 has used the same Kayaba SSS suspension components since before the iPhone was invented. The only thing that’s changed over the years has been a shim here and there, a spring rate now and then, and a valving tweak on a blue moon. As for KTM, the WP suspension has been its Achilles heel since 1999. The WP ship would have sunk long ago if it wasn’t for KTM purchase orders keeping them afloat. In recent years WP components have begun to improve‚ especially over the no-link PDS system they used back in the day. The 2016 KTM 125SX WP components now have a balanced feel from front to rear and are progressive throughout the stroke. The problem lies on bottoming resistance. But then again, we are comparing it to the best production suspension on the market. Looking for a winner? The suspension category is a slam dunk for the YZ125 on ther 2016 models (and much less of a YZ advantage when you compared SSS to the 2017 KTM AER forks). 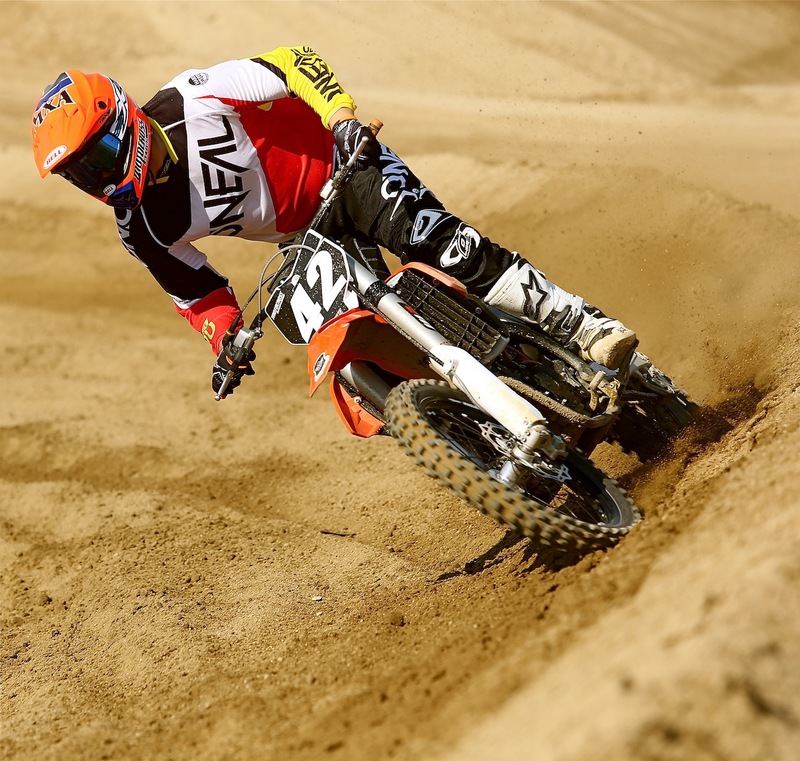 Before the 2016 KTM 125SX, the Austrian engine made 34.66 horsepower and had a little over a half horsepower more than the 34.01-horsepower YZ125. Down low the KTM offered about two more ponies, but to be honest, it didn’t light the world on fire. Most MXA test riders tended to opt for the great suspension of the YZ125 over a bike with more ponies. 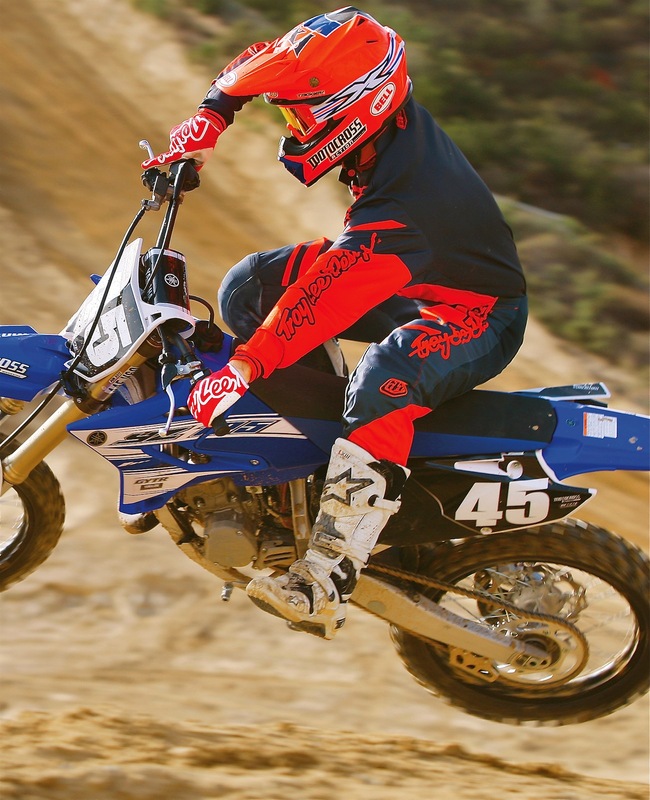 In our 2015 125cc shootout the YZ125 was the hands-down winner—not for its power but for its elegance on the track. The bigwigs over at KTM don’t like to lose, especially to a bike that is over the hill. 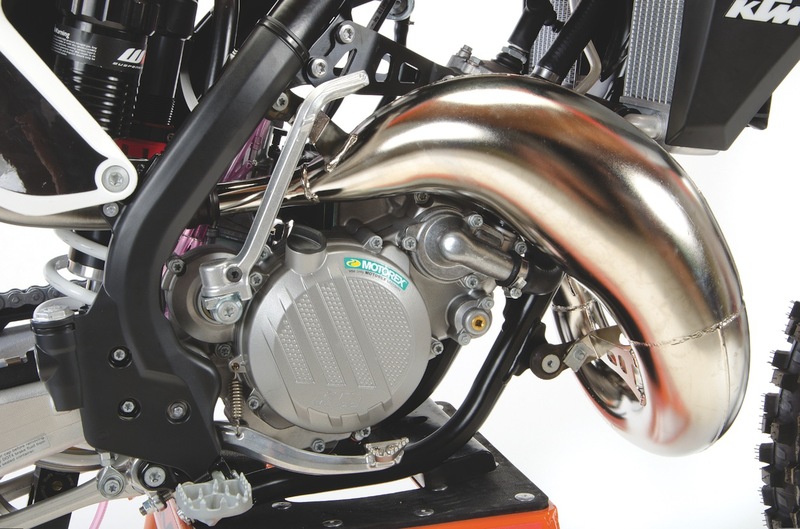 Thus, for 2016 KTM built a brand-new engine from scratch. It was 4 pounds lighter than the previous mill and produced about three more ponies (at 37.27 horsepower). It was strong enough that you could forget what the lever on the left side of the bars was used for. The KTM powerband had more four-stroke-style grunt down low, so we were also able to pull a higher gear everywhere. In a head-to-head battle, the YZ125 doesn’t hold a candle to the potent 2016-2017 125SX engine. With the $400 price difference between the KTM 125SX and the YZ125, you could take the extra cash and bolt some muscle onto the YZ125 to bridge the power gap. 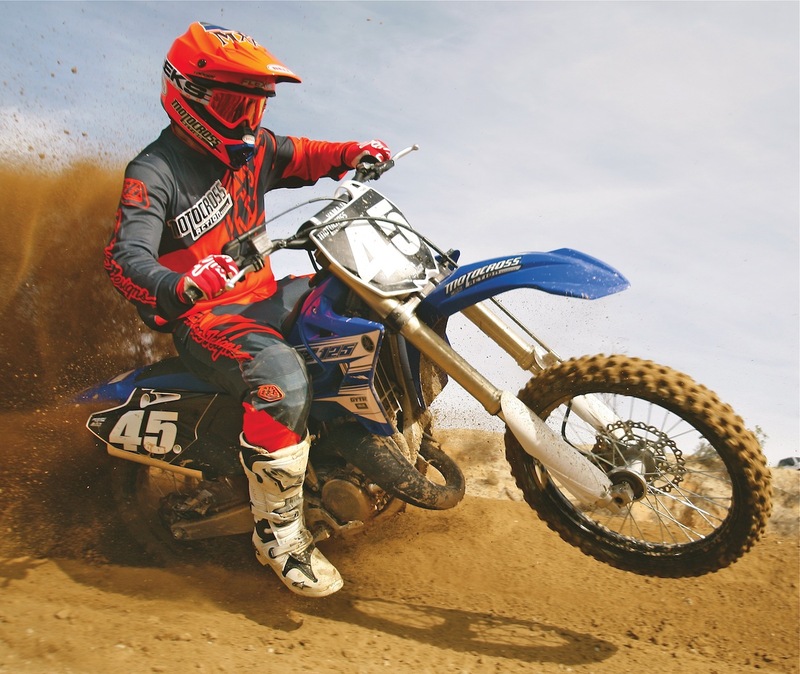 With an aftermarket exhaust pipe, a Boyesen Rad or Moto Tassinari reed valve, a tooth on the rear (from a 48 to 49) and a touch of testosterone, you could get the YZ125 powerband up to fighting weight. There is one caveat: this doesn’t work if the KTM 125SX owner did the exact same mods. In that case, the YZ125 doesn’t have a prayer. 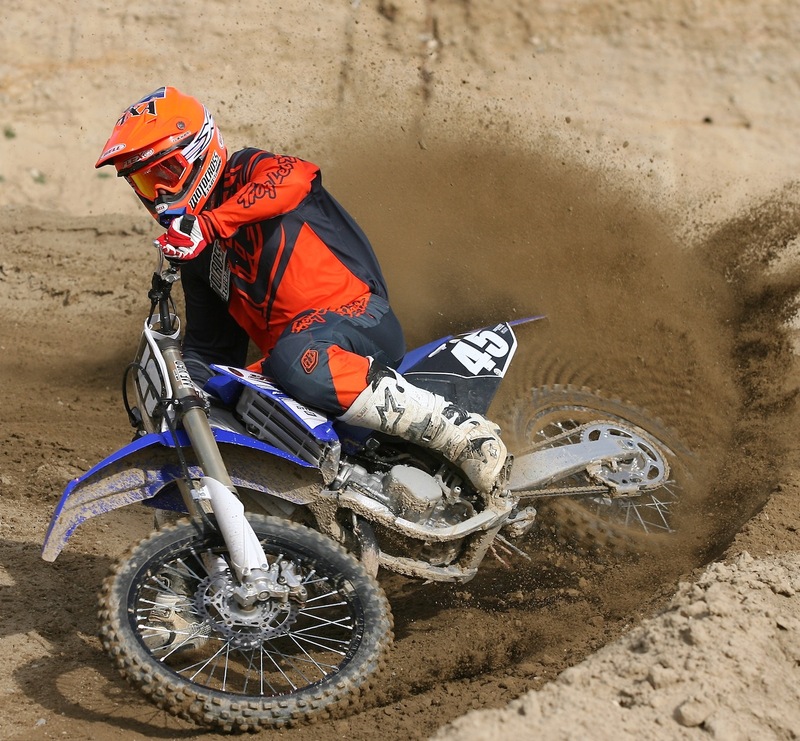 The biggest handicap of the YZ125 other than its engine is the Dunlop MX52 front tire. It makes you lose confidence in the front end. After you level the playing field by mounting an MX3S, which comes standard on the KTM 125SX, the handling traits between both bikes are somewhat similar. In stock trim both bikes have the tendency to stand up in corners. We raised the fork legs up on both bikes by 5mm from stock so they would settle at turn-in. 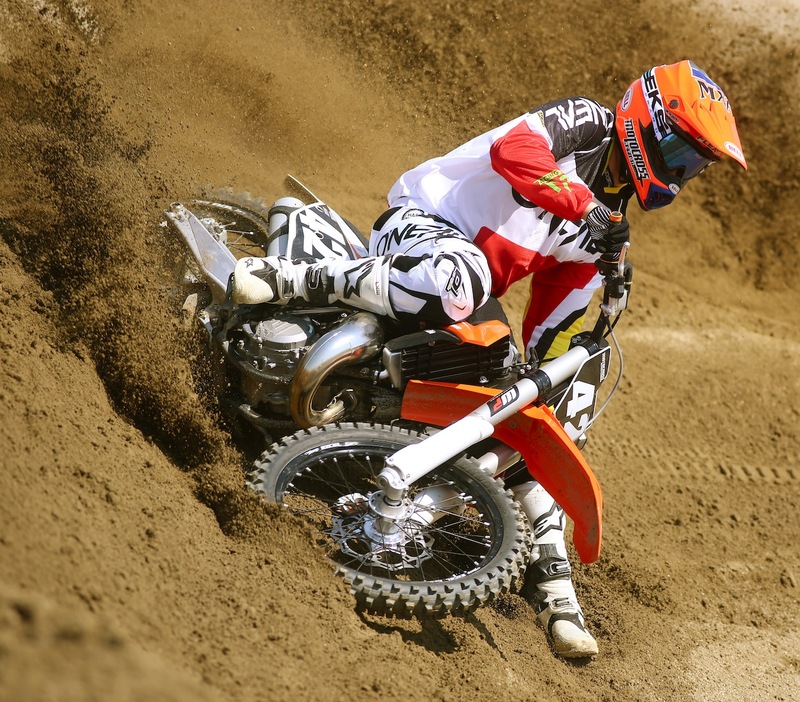 The KTM finds its way through corners with less effort, as the YZ125 has a habit of understeering. Both bikes are extremely light (under 200 pounds), making it easy to place the front wheel anywhere you would like with a bit of body English. Remember that $400 price difference? We found where KTM spent the extra $400 on the 125SX. The money was well-spent. KTM has a self-adjusting hydraulic clutch, Brembo brake calipers with Galfer rotors, no-tools air filter, self-cleaning footpegs and a laundry list of other high-end parts. Part for part, the KTM shines. WHO WINS THE BOXING MATCH? Like all hard-core racers, we want equipment under us that is good enough to win on, even if we might not be up to the task. Although we love the old-school YZ125 because of its gracefulness around the track, that was the only thing that was keeping it dead center on our radar screen for all these years. Now it is getting harder to ignore the power advantage that the latest KTM 125SXs have over the Yamaha YZ125. 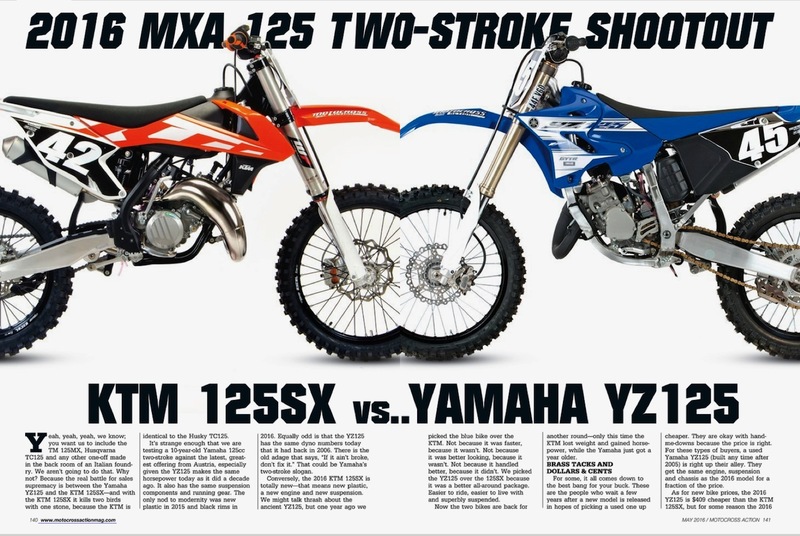 If they were put in the ring together for a boxing match, the YZ125 would dance around the more powerful KTM 125SX until the Austrian bike hit it with its powerhouse left hook. The old blue warhorse may still have some moves, but it doesn’t have the chin to take on KTM’s pure speed. And, the KTM 125SX’s punch is more than enough for us to overlook the fact that its suspension isn’t as good (even though it closed the gap significantly with the 2017 model). Why didn’t we compare the 2017 KTM 125SX to the 2017 Yamaha YZ125 head to head? That’s simple. We have a 2017 KTM 125SX in our stable, but we do not have a 2017 YZ125 yet. 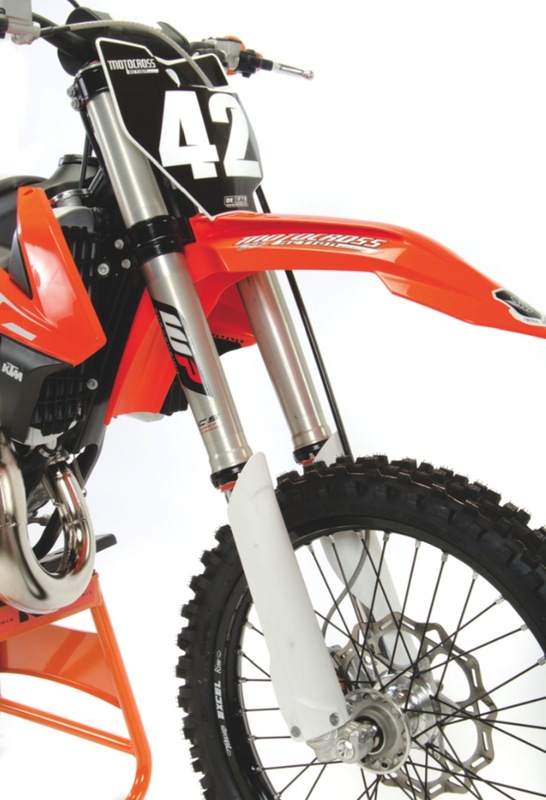 With the 2017 KTM 125SX being equipped with vastly improved WP 48mm AER air forks (and with them comes a 3-pound weight savings), the advantage falls even farther to the orange side of the scale. If Yamaha doesn’t put some serious R&D into the YZ125, this could be the last round the old blue champ will ever fight with any hope of staying close. All hail the new 125 two-stroke champion, the KTM 125SX. If you had subscribed to Motocross Action, you would have been able to read this shootout in the May 2016 issue…four months ago. Click below for a super deal.